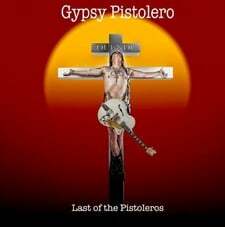 As a Christmas gift to their fans, Gypsy Pistoleros are offering a free download of the song “Sonic Seducer”, a track that didn’t make it onto the band’s upcoming CD ‘Duende – Last Of The Pistoleros’. The song can be downloaded at previewed at www.reverbnation.com/play_now/song_5394302. Gypsy Pistoleros have also recently released an Xmas single, a cover of Adam And The Ants “Stand And Deliver”. The new single is available for purchase at iTunes.com. The band’s upcoming CD ‘Duende – Last Of The Pistoleros’ will be released in February 2011 on Beautiful Disaster Records (Australia). The album sees a return to the Lee Pistolero/Mark Westwood (Shadowland, Arena, Neo, Martin Orford band) song-writing partnership/collaboration since the Whtie Trash UK split. Jeff Williams fills out the band on drums and the CD will be engineered, mixed and produced by Marky Mark Westwood at Nomad 51 Studios (Birmingham).